These past few days have been action-packed. 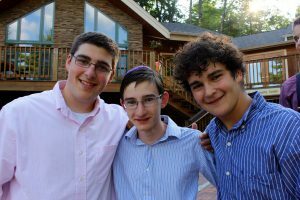 On Thursday night, the Kerem for Arayot, Leviim, and Maalot ran peulot erev (evening activity) by themselves for the first time. 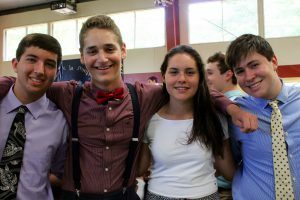 Then, it was Friday morning, and the excitement for Shabbat was in the air. The morning flew by, filled with kitah (religious studies class) and peulot. After lunch, everyone went back to the tzrifim (bunks) they cover as Kerem until rikud (dance) with Marcelo. Finally, we ushered in Shabbat with “ReLiSh” (Ruach Lifnei Shabbat– spirit before Shabbat) and Kabbalat Shabbat, where the Kerem boys redeemed themselves from the previous week when they sang Ad on Olam instead of Lecha Dodi. Later that night, after some spirited zmirot (Shabbat songs), Kerem had their weekly tisch (celebratory party on Shabbat). 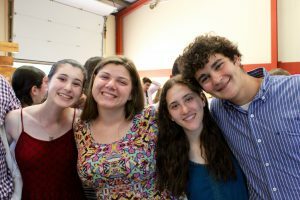 This was special because our madrichim (counselors) initiated a new system for the tisch. Although this was something we weren’t used to, in the end, most people were pleased with the change. Shabbat day began with brownies and musaf where our fellow Kerem-ite, Ella K., gave a beautiful dvar Torah. The rest of the afternoon consisted of mentor meetings, ice pops and chillin’. That evening, Saul Strosberg, a former Yavneh staff member, led our sicha (discussion). We talked about the different definitions of success and what our legacy means to us. The night came to a close with Cornerstone, rikud, and covering the bunks while the madrichim went to their weekly staff meeting. Sunday was madrichim appreciation day, so that morning, Kerem covered their respective aydot (units) during aruchat boker (breakfast) and nikayon (bunk cleaning). Later, we all had play practice for a really long time…a really long time…but we are all excited for the play that’s tonight! Sunday was one of the hottest days, so after a long day of play practice, Kerem was ecstatic about a last minute peulah at t he agam (lake)!!! These past few days have been amazing and we can’t wait for what this next week has in store. *Shoutout: to all the parents who are actually reading this!